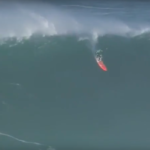 On a difficult and blustery day at Pe’ahi, Billy Kemper battled through the elements to win the Jaws Challenge. 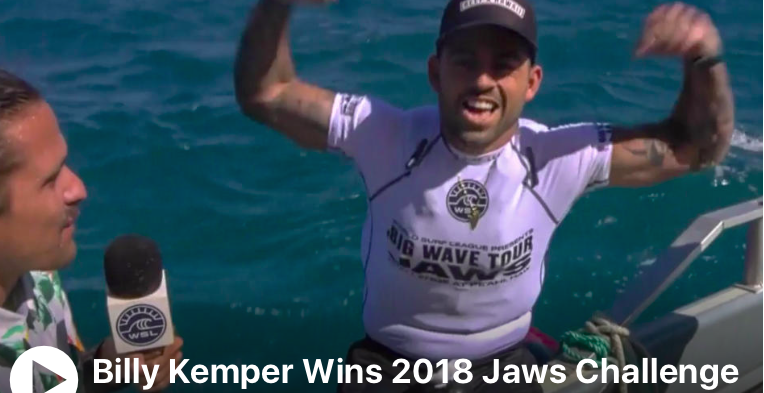 With this victory, his third win in four years, Kemper made history and set the gold standard for competition at the Maui big wave break. The surfer from Hawaii reflects on his historic third win at Pe’ahi. In a Maui-stacked Final, fellow surfers Kai Lenny, Albee Layer and young upstart Tyler Larronde kept it tight throughout the hour-long final. Lenny tallied the highest single-wave score in the final, an 8.33, for a bowling tube that he rode out of cleanly. Unable to find a suitable back-up ride, he had to settle for second place. 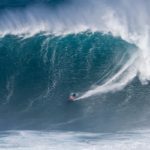 Current Big Wave World Tour ratings leader Grant Baker was looking to go back-to-back after his command performance at Nazaré nearly two weeks ago, but ended up in sixth. 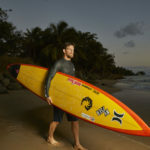 While it may not have been the result he was after, Baker maintains his number one position on the Big Wave World Tour rankings. Oahu’s Koa Rothman rounded out the final, finishing in sixth. “Less than a month and a half ago I was sitting in LA getting MRIs wondering if I was going to surf this winter,” said Kemper, who has had to battle back from a recent injury. “I didn’t do this on my own,” continued Kemper, thanking his trainers, coaches, doctors and family for rallying behind him. 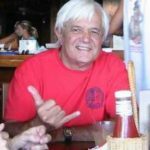 After the swell and winds rose quickly on Day One of the Jaws Challenge, the Big Wave Tour commissioner Mike Parsons was forced to put the contest on hold shortly after men made it through the first heat of Round One. With the surf slightly more manageable on Day Two, it was the wind conditions that proved problematic for the surfers. Previous Big Wave Tour commissioner Peter Mel, who was working the webcast, estimated the success to wipeout ratio to be around 50/50. Enroute to the Final, in Semifinal One it was favorites Layer, Baker and Kemper all advancing as the wind speed reached upwards of 30 mph. The heat started with everyone getting mowed down by a large, frothy set. Taking the brunt of the set on the head, 45-year-old Baker broke his board and his leash, but was able to collect himself in the channel, grab his back-up board and swoop into a solid set wave. Layer hit his rhythm after Baker’s initial strike. Earning an 8.33 for a tube that saw him come sliding out of the barrel on his back in a cloud of spray, he seized control of the heat and held onto the lead until the end. Meanwhile, Kemper, who has made every final in the history of the Jaws Challenge, was outside of the cutline with 2:30 minutes left. The eventual winner managed to find a wave that allowed him to airdrop to the bottom and pull into a frothy tube, earning a 7.10 for the effort. With spray whipping through the lineup, the conditions continued to test the competitors in Semifinal Two. The heat was relatively tight until the 10-minute mark, when things broke wide open. Lenny got rolling with a 9.17, the highest scoring ride of the contest. Rothman answered with a 9.07 of his own. 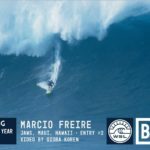 The two finished tied for first, while Maui upstart Larronde edged out former Big Wave World Champion Greg Long to sneak into the final. In Round One, Larronde sustained one of the most punishing wipeouts of the day. Held up in the wind, he free fell to the bottom — a good 30 feet — before the wave detonated on top of him. With two events in the books for Big Wave Tour this season, the race for the World Title has tightened up. Baker continues to lead the hunt, but Lenny and Kemper have closed the gap. The final event of the season will be the Mavericks Challenge in Half Moon Bay, California. The waiting period runs through March 31, 2019, and Baker is a former champion there.